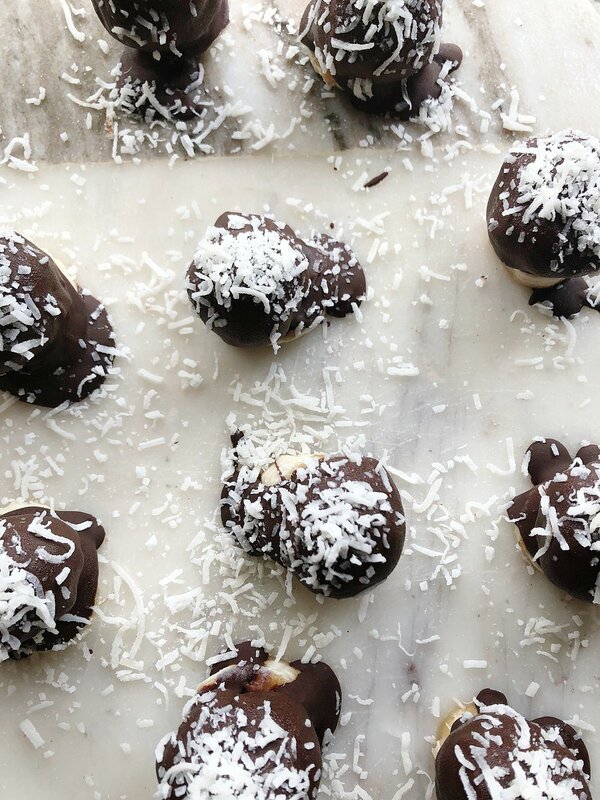 These truffles are beyond delicious, and only require a handful of super simple ingredients! In fact, I had almost everything stocked in my cupboard when racking my brains to bring over a GF/vegan dessert to a dinner party. If you frequent the kitchen, you may adjust this recipe to further support your Ayurvedic constitution. If you are not sure what that means, I have included an ingredients summary in the recipe to best support each dosha! In Ayurveda we look at nutrition according to the 80/20 Effect. Everything is welcome in balance and moderation. This recipe requires a lot of carob and the sugar adds up fast; however, that is no reason to not enjoy! That being said, if you are of Kapha nature, consider drinking a cup of hot ginger, peppermint, lemon tea to facilitate digestion. If you are under-the-weather, feeling sluggish, or mucous-y that day, consider drinking that warm tea as well to support the body's digestion. Vata: Add 2 tbsp of walnuts, pecans, sesame, hemp seeds, cashews, or pistachios. Mix carob cooking chips, coffee grounds, and additional ganache ingredients in the food processor. Blend until homogenous. Heat up coconut creamer on low heat on stove-top. Right when the creamer comes to a boiler, take off the stove and pour over chocolate contents. Mix the contents quickly until chocolate is silky and smooth. Cover the bowl and place in freezer for ~ 1 hour. The chocolate should be firm enough for you to roll into balls. If not, let the mixture continue to cool. After rolling the balls, place back in the freezer. 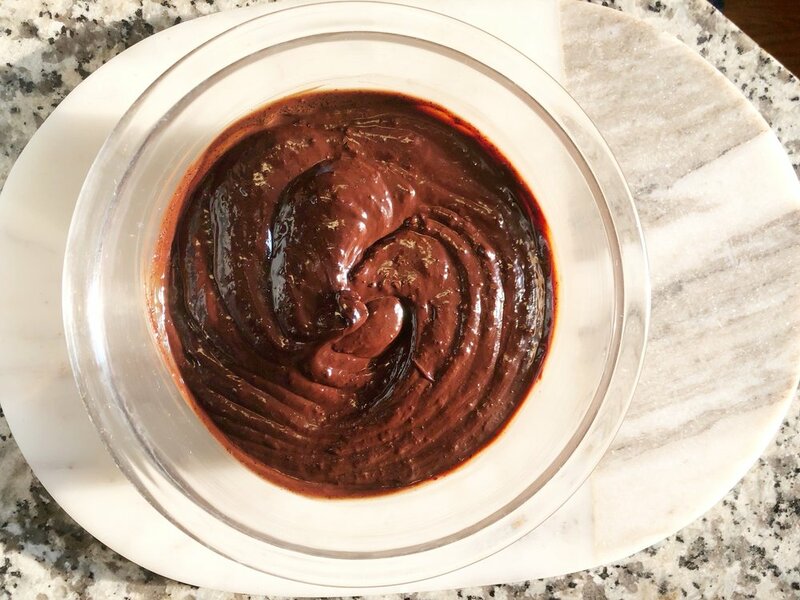 Mix cinnamon and cacao powder in a small bowl; set aside. Double boil 10-12oz carob chocolate and 1 tsp coconut oil on low heat until chocolate is smooth and silky. Set to the side to cool for 10 minutes. After letting the chocolate cool, remove the truffle balls from the freezer, roll in cinnamon/cacao mixture and place back each truffle ball on a banana coin. Drop each truffle ball in melted chocolate, scoop out and drop on a banana coin. Place back in the freezer until ready to serve and eat! Pull out for 15 minutes before eating.